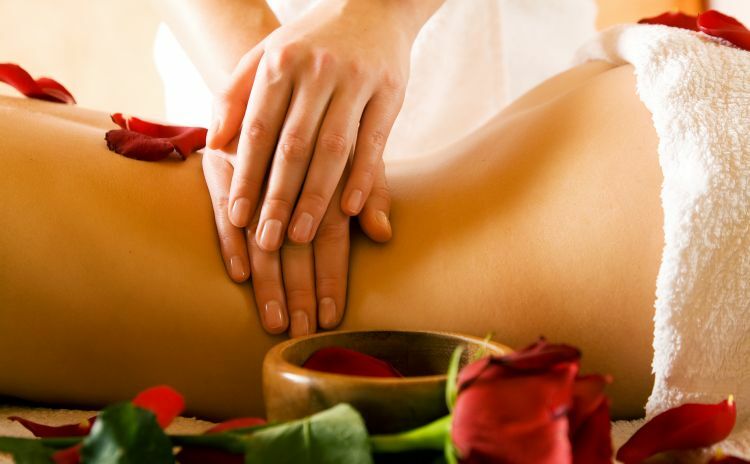 Our massage center offers a wide range of massage services. 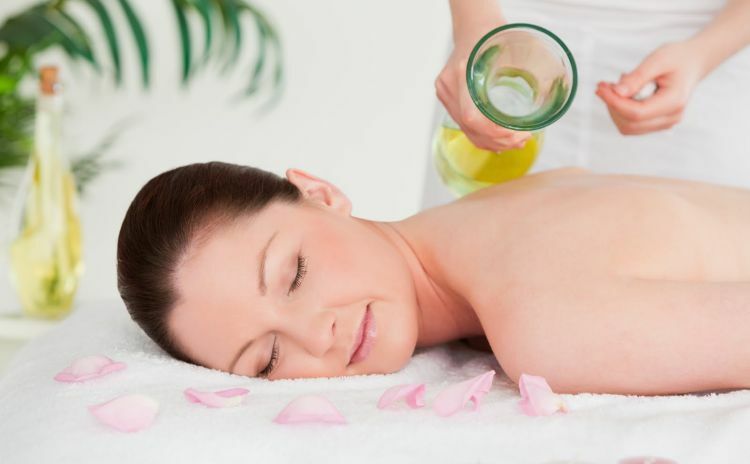 We have qualified massage therapist that are ready to help in any way they can. Please click on the tab at the top of the website designated The Massage Center to see a list of the services we offer. You will notice another tab for scheduling your appointment online. Please schedule at your convenience and call our office if necessary. The Massage Center is currently in the same building as our Chiropractic clinic. However, you can see our new facility being built next to Mid Florida on South Florida Avenue. We are looking at completion of the new facility in August 2017. Tis the season to treat your friends and family to a professional massage. Don't wait for a special occasion, birthday or a holiday. 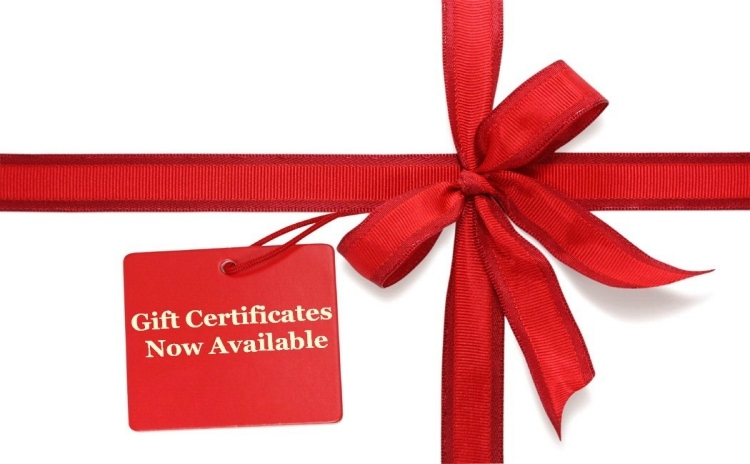 Give an unexpected Gift Card today. See our LOCATIONS page for contact info. 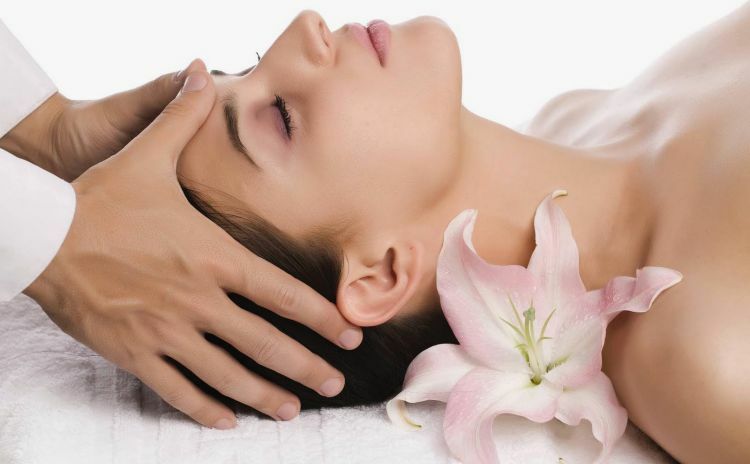 This full body treatment offers the added feature of CranioSacral Therapy, with extra attention from the neck up, your most important body part. A scalp and face massage can return a person to sanity. Also known as the Swedish Massage, this treatment is what most people think of when day dreaming about a massage. Pressure can be light or deep, the major strokes are long and circular and can be customized to address where stress is held. This feels the way it sounds. A Deep Tissue Massage works to separate the muscle from the connective tissues. When the body gets sticky and less elastic, deep tissue bodywork helps to return the tissues to a supple, fluid condition. Are your muscles, tendons and ligaments sore, tired, tense or fatigued? The modality is officially known as Sports Therapy and is performed either to prepare the body for a specific event, Recuperate from a recent event or simply Maintain flexibility and over-all health during a training period. A Japanese modality known as Shiatsu, based on Acupuncture but NO NEEDLES are used. Instead of targeting a specific problem, in Shiatsu the whole body/mind/spirit is considered and treated. By using finger-point work, stretching, and compression, Shiatsu works to balance the energy flow through your body. The client wears loose-fitting comfortable clothing and no lubricant is used. Reduce pain, increase range of motion (ROM) and address a long list of medical ailments. Medical Massage targets your particular issue for the bulk of the session. We may use several positions during a session. Hot rocks are applied while stress simply rolls off the table. Heated smooth, flat stones are placed on key points on the body. Each stone is rich in iron which retains heat. 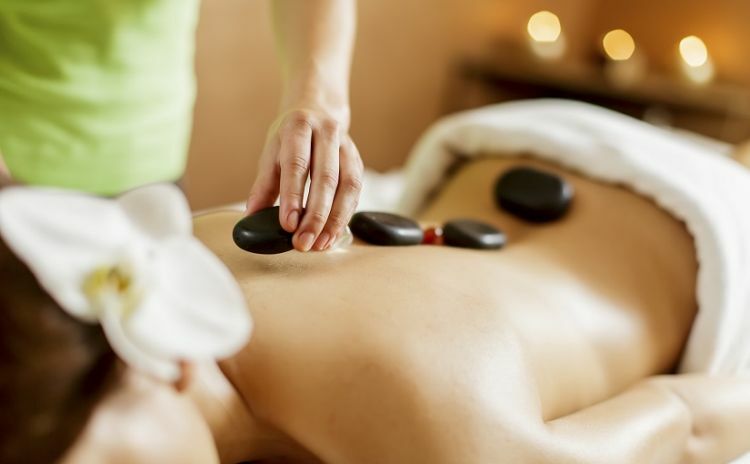 The massage therapist may also hold the hot stones and massage certain areas of the body. 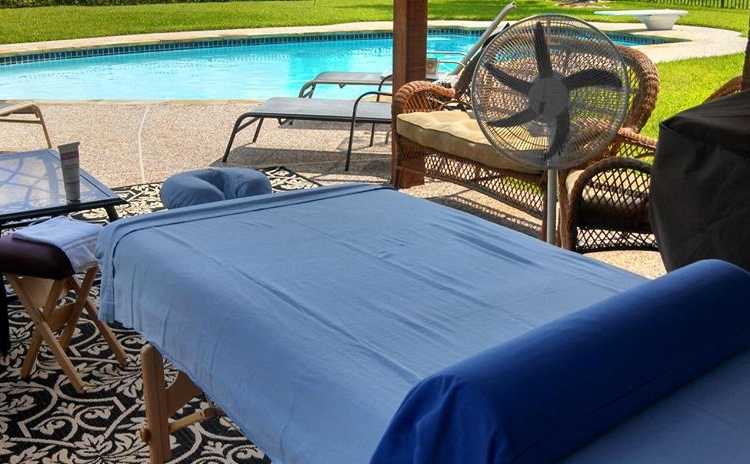 The heat helps to relax the muscles, improve circulation and calm the nervous system. From the second trimester through the first six months after birth, massage can help a woman deal with the massive changes occurring in and around her body. Low back and shoulder pain, swelling in the lower legs and ankles, stress… massage for these and other issues can help with the adjustments the body is experiencing. From the second trimester on, the massage is performed in a side-lying position using plenty of pillows. A soft-touch technique used to reduce swelling and move lymphatic fluid in the body. The lymphatic system is your second circulatory system and is an important party of your immune system. (Fun anatomy fact: 5% of your body’s fluid is in your blood, 15% is in the lymph system.) But the lymph system moves very slowly and can sometimes benefit from a little help via massage. Ticklish or not, our therapists will relieve pressure using Foot Reflexology, to help improve circulation and deliver a relaxation that you’ll truly get a kick out of. Remember, there are more than 850 muscles in the human body, according to The American Medical Association Encyclopedia of Medicine. How many of your feet muscles are in need of therapy? A Japanese technique administered by “laying on hands” and is based on the idea that an unseen “life force energy” flows through us and is what causes us to be alive. If one’s “life force energy” is low, then we are more likely to get sick or feel stress, and if it is high, we are more capable of being happy and healthy. Some-times called Geriatric Massage Therapy, this modality addresses any specific requests or needs that our wiser, more experienced guests might have. Guests may have a friend or family member join them during their first visit to ensure they have a comfortable and relaxing experience. Each guest decides for themselves what amount of clothing to wear. Throughout the session, the guest will be properly draped, only exposing the area being treated. We will visit at your place of employment, and provide a chair massage for you and your coworkers or customers. Home massage available in limited areas. Velocity Chiropractic & Rehab - Powered By Lakeland Marketing Pros.